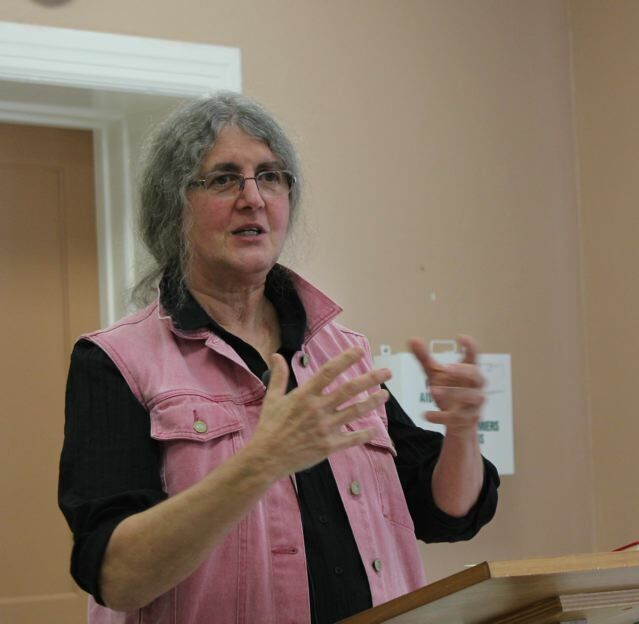 Thank you all for coming on Sunday October 21 to hear Jean McKay talk about her memories of being part of James Reaney’s Wacousta workshops in 1981 in London, Ontario. She also spoke about being James Reaney’s research assistant for The Donnelly Documents: An Ontario Vendetta. Jean was a student of James Reaney’s in the mid-1960s and a long-time friend of the family. 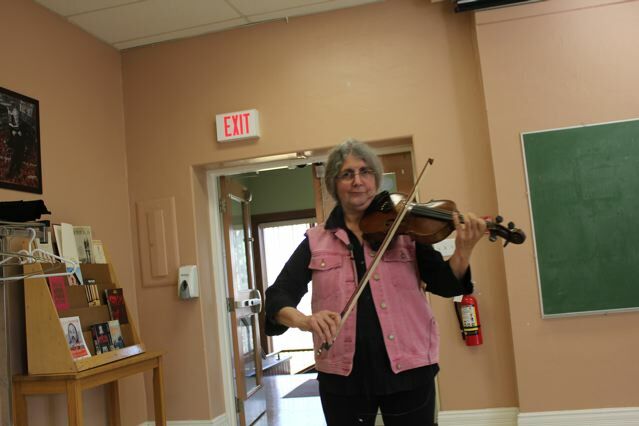 Thank you, Jean, for bringing your fiddle and reminding us about all the good times shared. October 21, 2012: Jean McKay regaled us with jigs and reels and other period music from the Wacousta workshops and the Donnelly plays. October 21, 2012: Jean McKay remembers James Reaney. Many thanks to the organizers of the lecture at the Stratford Public Library — Charles Mountford, Anne Marie Heckman, and Sam Coghlan — for your continued support of this event. For more about the lecture, see Laura Cudworth’s article in The Stratford Beacon Herald and roving reporter JBNBlog.